if you have locked your keys in the van we can help. We are experienced auto locksmiths and can open any vehicle, call us and we will get you back on the road. 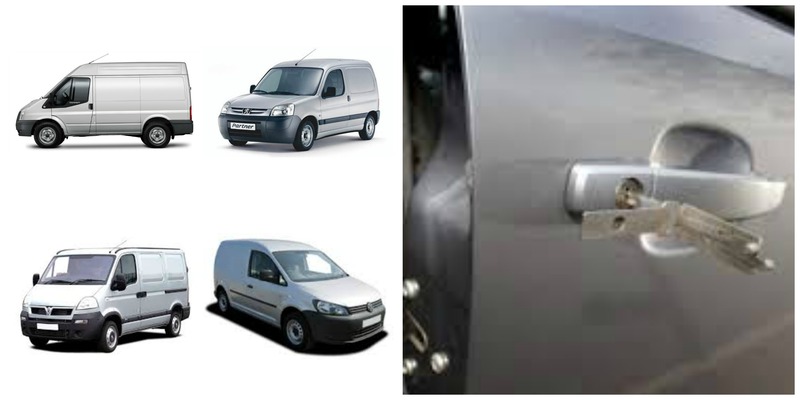 We open vehicles using non destructive methods ... so no damage to your van, just your keys back in your hand. We are specialist vehicle locksmiths, we deal with this day in and day out .... dont worry we will open your vehicle. My van has security locks or slam locks can you open it ? Yes there is always a way even with security locks, obviously security locks are made to be secure but we will find a way in. call us and speak directly to a locksmith.